Be my Cyril or Methodius? Face it – everyone’s heard of St. Valentine. Today on the SaintCast we learn about the alternate Feast Day for February 14th, the brothers SS. Cyril and Methodius, as well as the other saints the Church celebrates this week in the liturgical calendar. 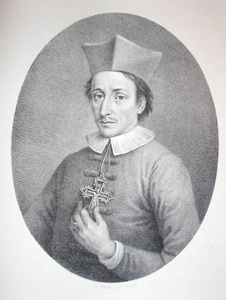 In addition, we profile one of my new patron saints, Blessed Niels Stensen, eminent Baroque-age neuroscientist, anatomist, and bishop, as well as the father of geology. Can a love of science and faith in God co-exist in the same person? Tune in to find out.